A flexible Extraction Ducting and Ventilation Ducting. Temperature range the same as PVC1, diameters are the same as PVC1. 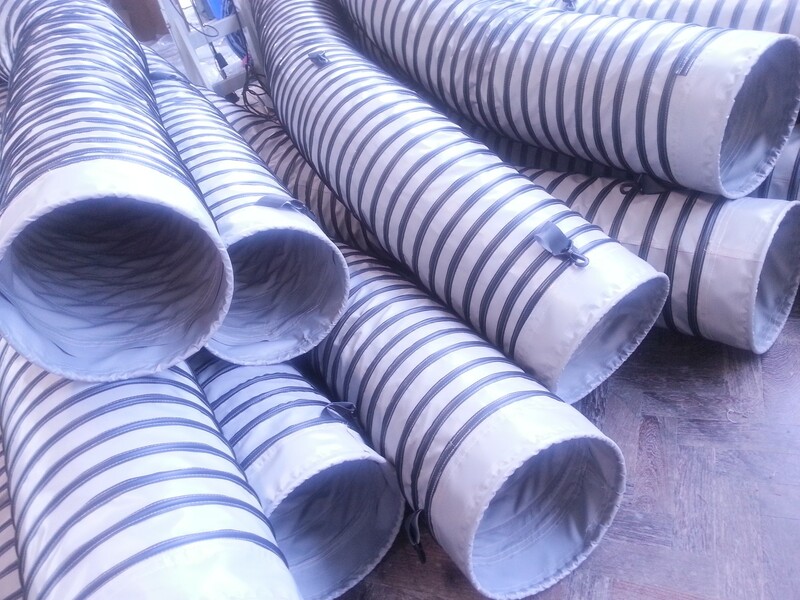 This is a heavier material than PVC1, the uses are the same but by altering the pitch of the wire these can be used as low vacuum suction ducting. A wide range of end fittings and colours are available.